This is a great beginner’s recipe for making bread. I haven’t made baguettes since my Breads and Pastries class in culinary school, so this was a great refresher course. 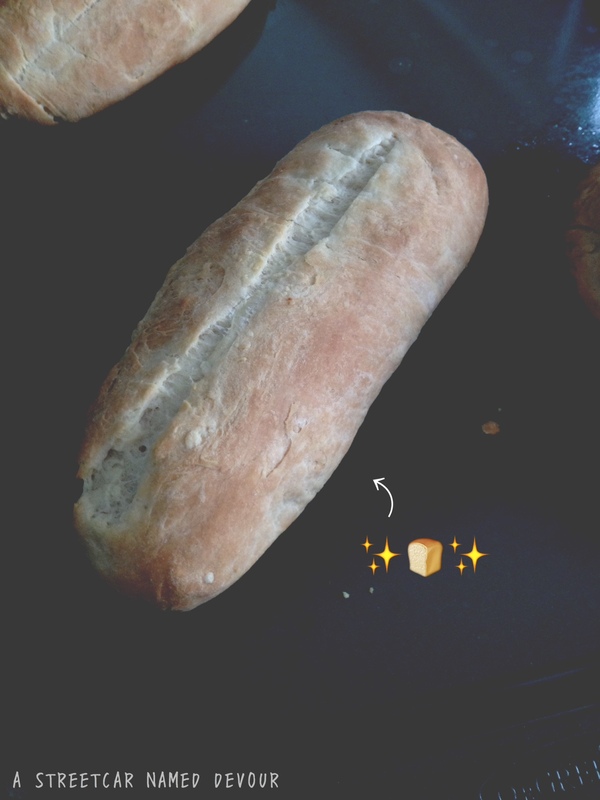 I made this bread specifically for this recipe. Dissolve the sugar and 3/4 cup of the lukewarm water, add the yeast and dissolve. In a large bowl, mix together the flour, melted butter and salt. Add the sugar water yeast mixture and beat slowly with an electric mixer. Add the rest of the lukewarm water gradually if the mixture is still dry. Beat and mix well until the dough has a smooth surface. Butter a large bowl and place the dough there, cover with a damp towel and allow to sit for about an hour or until the dough doubles in size. 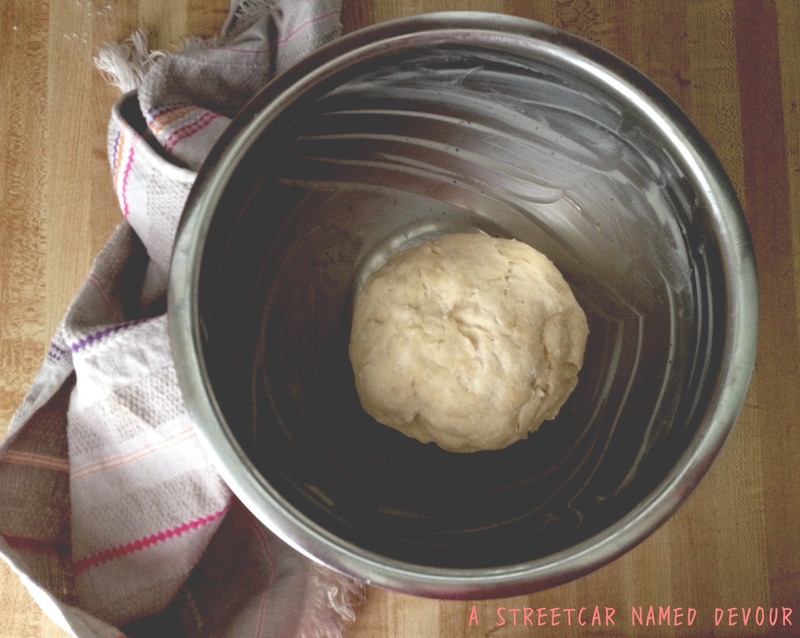 Once doubled, beat the dough slightly and knead well. Divide the dough into 4 equal-sized portions. 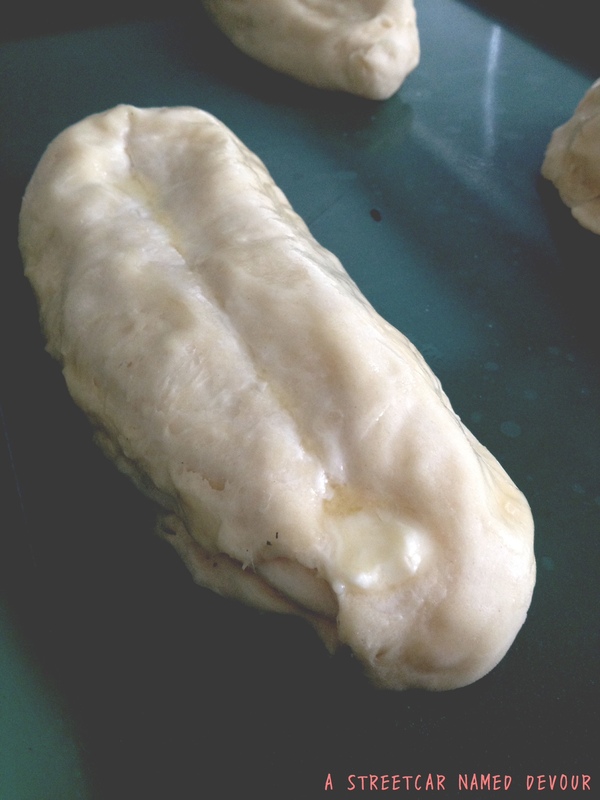 Slightly deflate the dough to even out the flour and roll back into mini baguettes. After proofing, the rolls should be doubled in size. Remove from the oven and preheat the temperature to 375°F. Using a sharp razor, make a vertical slash onto the top of each roll. Smooth a tiny bit of water on the surface of the bread and dust with flour. Use the leftover butter to fill in each slash. Bake the rolls for about 15-20 minutes until the bread turn light yellow and toothpicks come out clean. Remove and set aside to slightly cool. ← You Can’t Have the Mango!